The early to mid 90s was really an interesting time for heavy metal. The hard rock scene was evolving and changing into alternative music and grunge. Thrash metal had started to turn tail and run, led by their leaders Metallica simply abandoning their roots for a new type of mainstream profile. Strange hybrids of industrial and metal started to form in bands like Helmet, Ministry, Marilyn Manson, Korn, and even W.A.S.P. While all that was churning, the rural landscapes like Norway, Finland, and Sweden were really starting to establish their own metal visions, a dark melodic brew that eventually captured the global metal community. But the time between the mid 90s and 2003 was really an experimental stage that never caught the eye of the huge metal circles. Bands like Darkseed, Gandalf, Amorphis, Sentenced, Pyogenesis, Sarnath, and Edge Of Sanity were really creating unique and atmospheric metal built on melody and harsh vocal contrast that was like a new direction of Florida death metal. One of the really great bands that helped spark this scene was Finland's Cryhavoc. However as soon as that spark lit...it dimmed into nothing. This issue is dedicated to finding Cryhavoc. The band is in no way associated with the English hard rock band also known as Cry Havoc. Instead this band is a dark poetic venture that captured the mood of Sentenced, the gothic elegance of Paradise Lost, and the imagery of Norway's blackest chapter. I simply considered the band to be another great leader in what was soon becoming the best sub-genre of metal, melodic death. 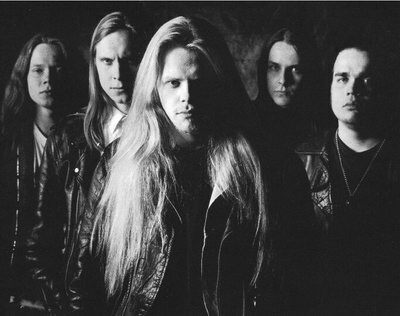 Cryhavoc formed in 2002 and released their first record, "Sweet Briars", for Spinefarm in 1998. At the time Spinefarm was really heaping out great metal, releasing early albums from Night In Gales and Children Of Bodom. "Sweet Briars" was an impressive debut that saw the band hit on all cylinders through impressive wonders like "Come With Me" and "I Fade Away". Vocalist Kaapro Ikonen was like a dead-ringer for ex-Sentenced singer Taneli Jarva, with his raspy delivery bordering on death metal. Often the band shifted from NWOBHM to goth to the sensational folk elements made famous by the likes of Amorphis and Skyclad. In 1999 the band followed their success with an album equally as good, "Pitch Black Blues". From there I just assumed that it was a matter of time before the band signed to Nuclear Blast (like Children Of Bodom) or Century Media, who by that time were signing up these types of bands left and right. Maximum Metal is asking the metal and rock community Where Are You Cryhavoc?